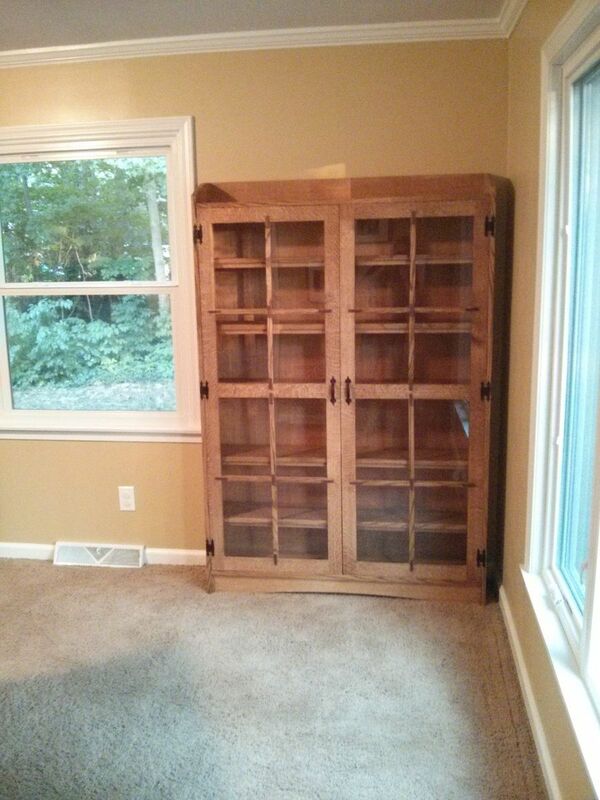 Quartersawn Oak bookcase with Glass Doors. 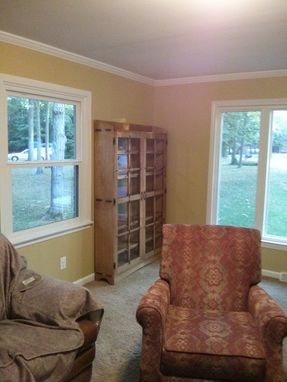 Designed for a small family that wanted to house their ever growing library, we worked together to come up with a design that would fit the space, match the existing furniture and provide plenty of shelf space for books. 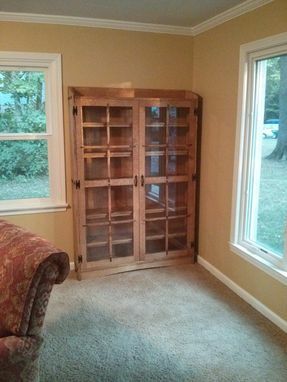 3 fixed shelves, 4 adjustable shelves inside bookcase. Measures approx. 6' tall x 4' wide x 10" deep. Pigmented Boiled Linseed Oil finish to match existing furniture and woodwork in customers house.